Your next promotion can't "bear" to be without this handy and fun giveaway! 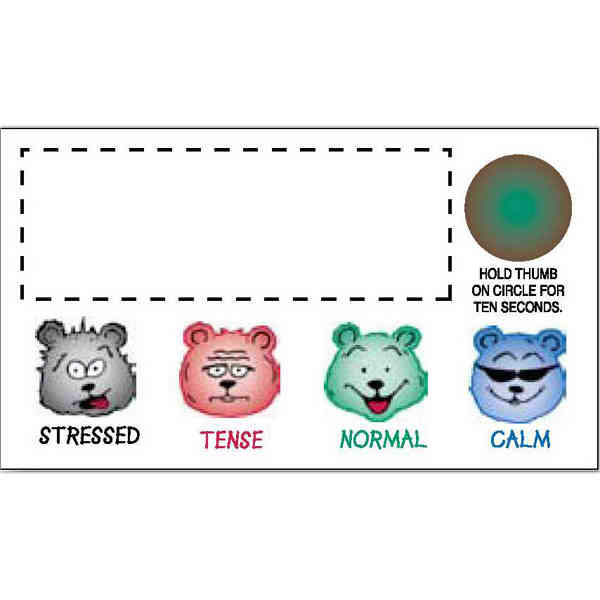 This flexible white business card magnet features 4 bear face expressions and a stress-test indicator attached. It's made in the USA of non-toxic materials, features a 20 mil. thickness and square corners. Customize each one with company name or logo to create a terrific giveaway that is sure to promote your brand! Designed for indoor use only. Ideal for doctor offices, yoga classes, therapists and much more!